Arguably one of England's most consistent performers of his era, Mike Tindall was a key member of the side that captured the Rugby World Cup crown in 2003. But his career, which was at times a stop-start affair because of injury, will unfairly be best remembered for his part in a wretched campaign at the 2011 Rugby World Cup where his behaviour in a Queenstown bar threatened to completely overshadow anything on the field. 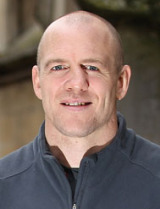 Tindall, who started his career at Bath in 1997 before moving to Gloucester in 2005, marked his England debut with a try against Ireland at Twickenham in 2000 Six Nations. He was instrumental in the 2003 Grand Slam decider against Ireland, scoring a game-breaking try and also played a scoring role in England's 25-14 win over Australia in Melbourne during the 2003 southern hemisphere tour. England's historic Rugby World Cup campaign followed with Tindall featuring in all but one of their seven matches. He was dropped for the semi-final victory over France in favour of Mike Catt, whose kicking game was preferred in wet conditions, but reinstated for the final victory over hosts Australia. An ankle injury ruled him out of the start of the 2004 Six Nations but he started all three Test on that year's tour of the southern hemiphere and was made vice-captain by then England head coach Clive Woodward. Another injury sidelined him for the 2005 Six Nations and Lions tour. He missed the 2007 Rugby World Cup after failing to recover in time from a broken right leg and was forced to miss the majority of the 2008 Six Nations after bruising his liver in the Championship opener against Wales. The arrival of Martin Johnson led to Tindall initially being marginalised but he returned - after another injury - in 2010 and surprisingly retained his place as Johnson opted for a youthful look. In 2011 he led the side in the absence of Lewis Moody and was seen as a key part of the side at the 2011 World Cup. But that all unravelled when he was caught on CCTV with a woman during a night out in Queenstown - Tindall;s high-profile marriage to Zara Phillips had only taken place a few weeks earlier . He refused to apologise but was later found to have lied in saying that he only went to one bar that night. He was dropped for England's last match against France in the quarter finals and was later fined. That marked the end of his England career, although he continued to give stalwart service to his club where he eased into a role as player-coach. But when Gloucester undertook a complete overhaul of the backroom staff at the end of the 2014 season, Tindall was left out in the cold and opted to quit rather than try to continue with a new side.